By some strange family coincidence both my great-grandfather and grandfather were chess players (the elder was a grandmaster) and both served as code breakers during WWI and WWII, respectively. When solving a problem or trying to understand something, they would always say, “Look for a pattern, find the similarities in the different variables!” They both knew, from experience, that behavior and ideas are subject to certain limitations, and no matter how much things seem to change, there are very predictable patterns that will always emerge when analyzing each new scenario. For example, every new discovery or invention, no matter what the original intended purpose, is used to advance warfare. The newly invented aircraft, an answer to our dreams of flight, quickly became a more effective delivery system for bombs during WWI. Our increased knowledge in the fields of molecular biology and biochemistry led to weapons of unthinkable destruction, more dreadful than any nuclear kind. But I’m getting ahead of myself. To understand the pattern, it’s necessary to go back to the beginning, in this case the beginning of recorded history, the cradle of civilization. Ancient Mesopotamia, also called the Fertile Crescent, was a vast area encompassing many cities and regions, cultures and languages. Linguistic experts believe there were several proto-languages spoken in this area alone, languages that were far more complex and abstract than those descended from them. Sumerian, Akkadian, Aramaic and Chaldean were among these, and each region or city-state had their own standing army as well. At some point, in what would still be called proto-history, this all changed, suddenly and drastically. It seemed that one particular area, under one particular leader, had grown a larger and more powerful army than the others. 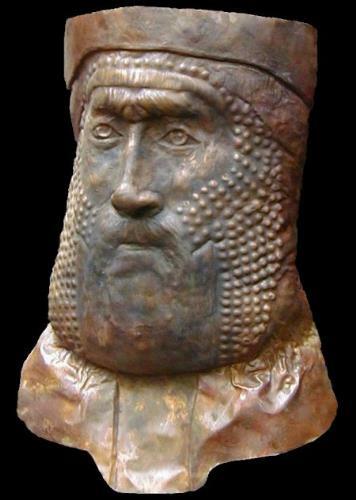 The area was Sumer (Shinar) and this leader would become the first ruler of the entire known world. He was known by many names---to the Persians he was Gilgamesh, founder of Nineveh, Tyre and Sidon, to the Shemites (Aramaic speakers) he was Nimrod, to the Egyptians he was Osiris and to the Canaanites he was Baal. The first thing he did after capturing or defeating opposing armies was to put them to forced labor. Captors and citizens alike were charged with building his new city and palace, which also served the purpose of centralizing his power and forming the first world capitol. This new city was called Babylon. It was the most heavily fortressed city at that time, and it also became the largest. Entire regions and city-states were incorporated and engulfed by the massive city until Mesopotamia and the surrounding lands were all part of the Babylonian Empire. All people had to speak the native language of the capitol city, which was Sumerian, and the wealthy agrarian civilization changed virtually overnight to builders. Like most tyrants, Nimrod/Gilgamesh began to see himself as a god. He demanded worship, became increasingly bloodthirsty and paranoid. When his palace and city were completed to his satisfaction, he turned his attention to even more malevolently insane activities. The beginning of his downfall, out on the plains of Shinar, was the infamous tower of Babel. A typical ziggurat pagan temple of massive proportions, it was doomed from the start. Some years later famine hit the region. Babylon would have survived on their typical agrarian existence, their rich soil always producing a huge surplus of crops. But, as with all unbalanced governments and economies, farmland was scarce and they relied on trade to meet this basic need. With Babylon’s implosion, Egypt took control for a time, then Assyria. But it wasn’t until Babylon’s rebirth under Nebuchadnezzar that we get a glimpse of the monstrosity behind these world powers. During a terrible, nightmarish vision, the king sees a huge living entity of several different metals. Frightened and confused, Nebuchadnezzar consults one of his wisest advisors, an Israelite named Daniel, who explains that this entity represents each succeeding world empire. This vision was a detailed, prophetic image of the rise and fall of that current Babylon to the Medes/Persians, then Greece, Rome, and finally this last world empire. Daniel’s description of that final, terrible coalition is a bone-chillingly accurate narrative of the world wars leading up to the formation of the League of Nations, the UN, EU, G10, CFR, and other global powers. They are essentially the same as their predecessors, but even worse in their slow, insidious strangulation of freedom. They talk of justice and peace while forming alliances with countries that harbor terrorists. They condemn a leader for taking measures to protect citizens and ignore the blatant human rights violations of another. There is indeed a pattern in the midst of this chaos. It does not attempt to call attention to itself because it is content to hide in plain sight. No one would be looking for something ​that obvious, so this monstrosity continues to camouflage itself in the chaos of the present, or the shadowy, distant past. Like Nebuchadnezzar’s vision, it appears to be alive, masquerades in human form but it is most definitely not human. It is an entity of great power, ancient and evil, surely it does not need to be named. But it is not invincible, and there is one being infinitely more powerful, who will overthrow this terror with just one word. He also has many names--the Israelites call Him Elohim, YHWH, Messiah.